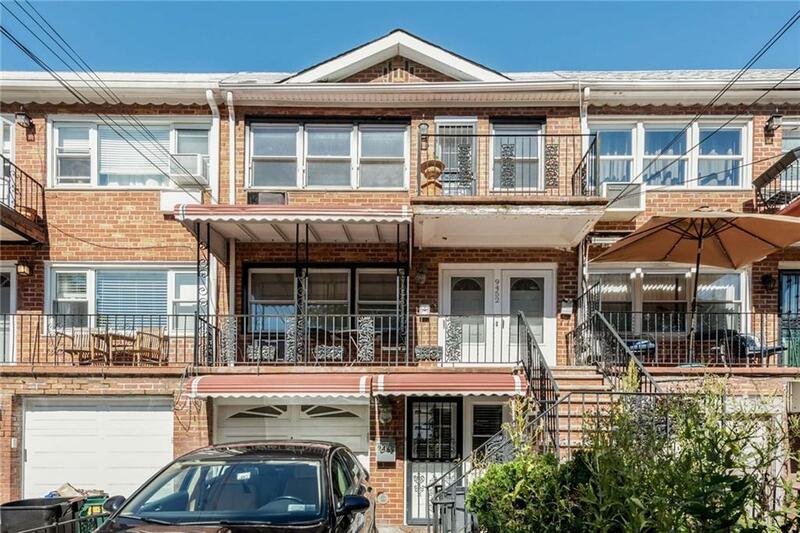 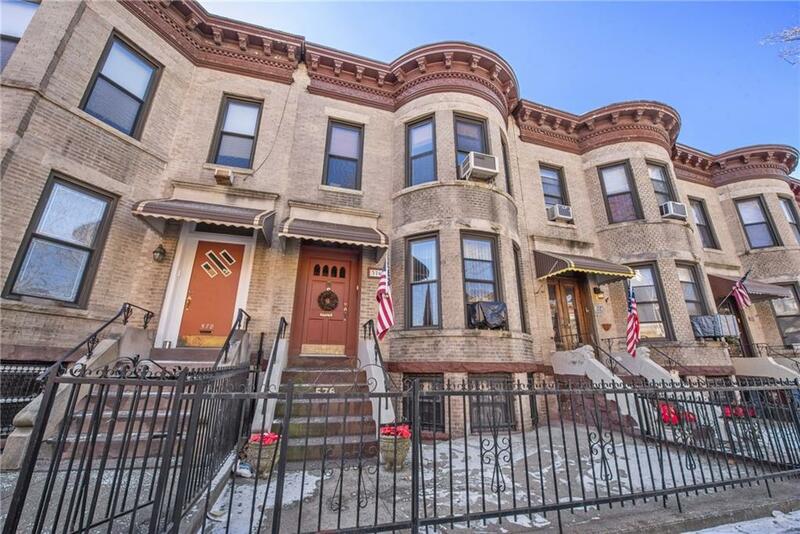 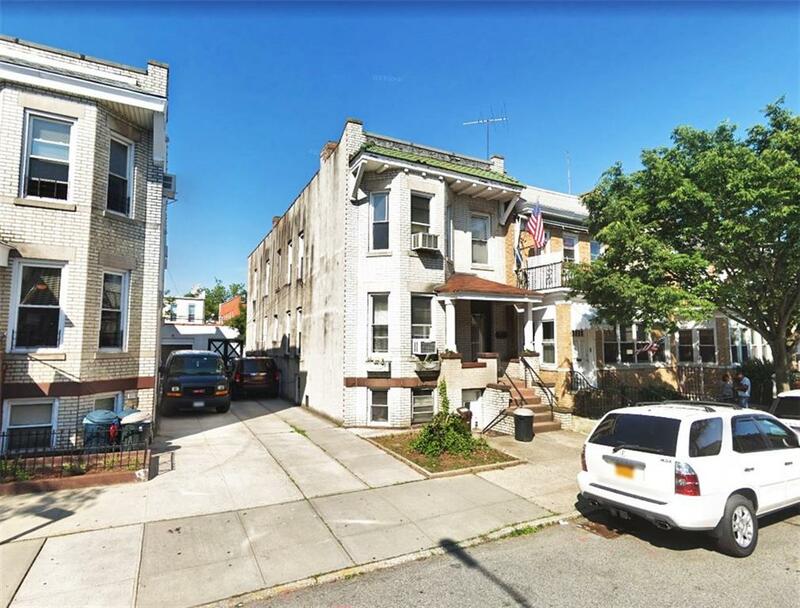 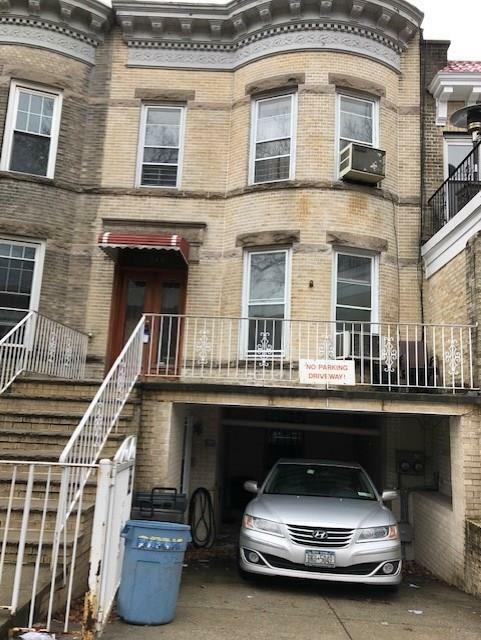 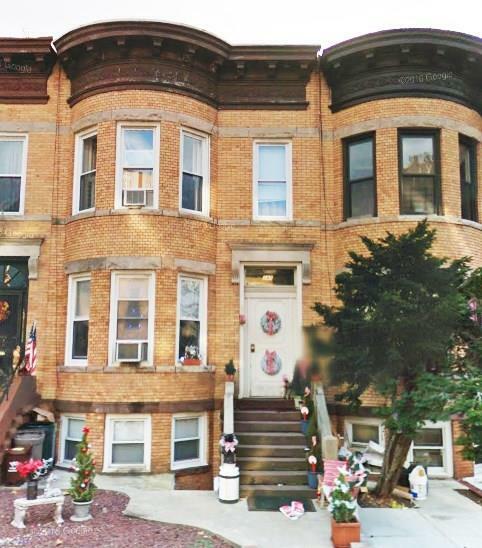 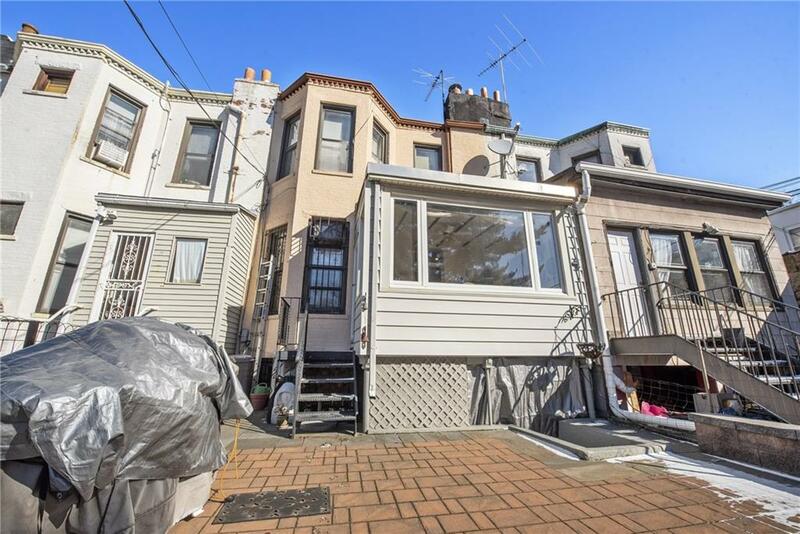 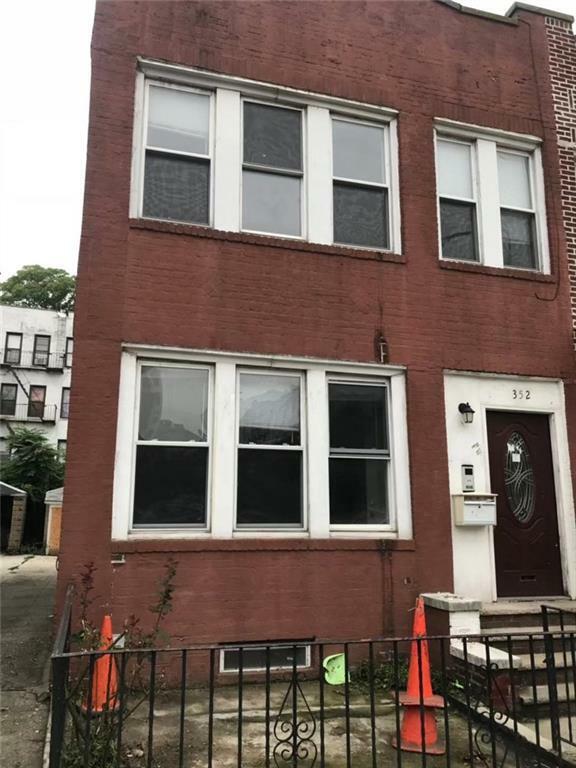 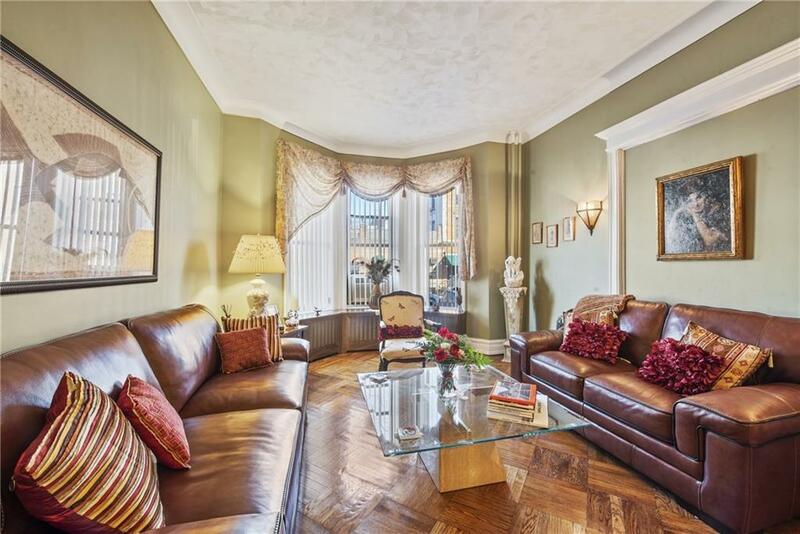 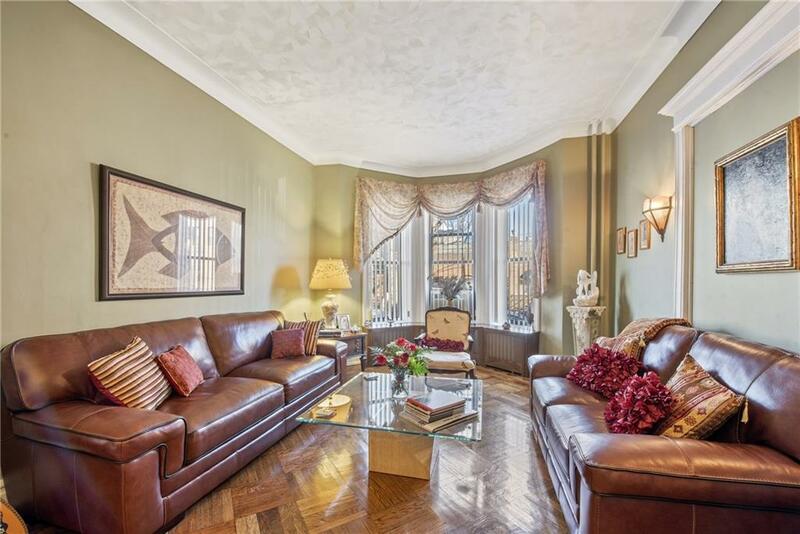 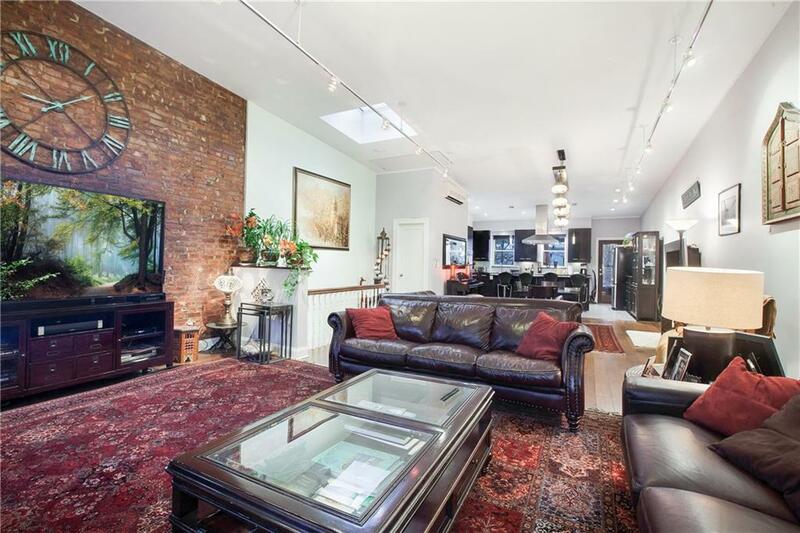 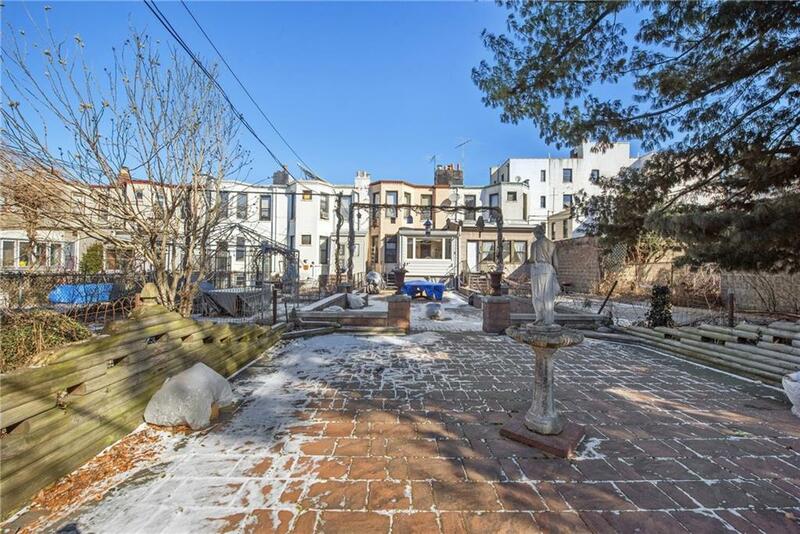 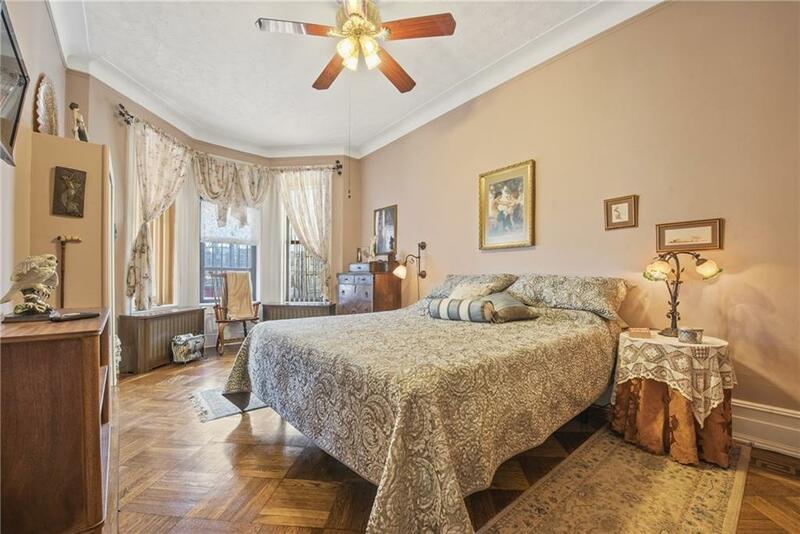 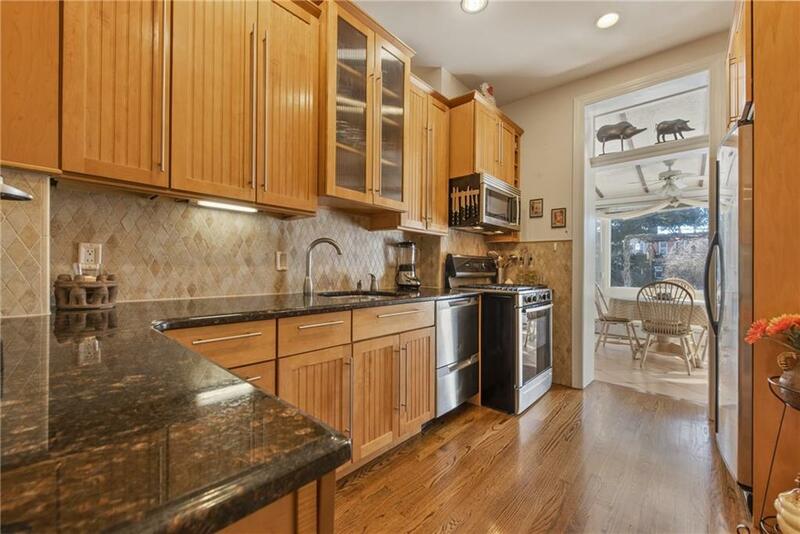 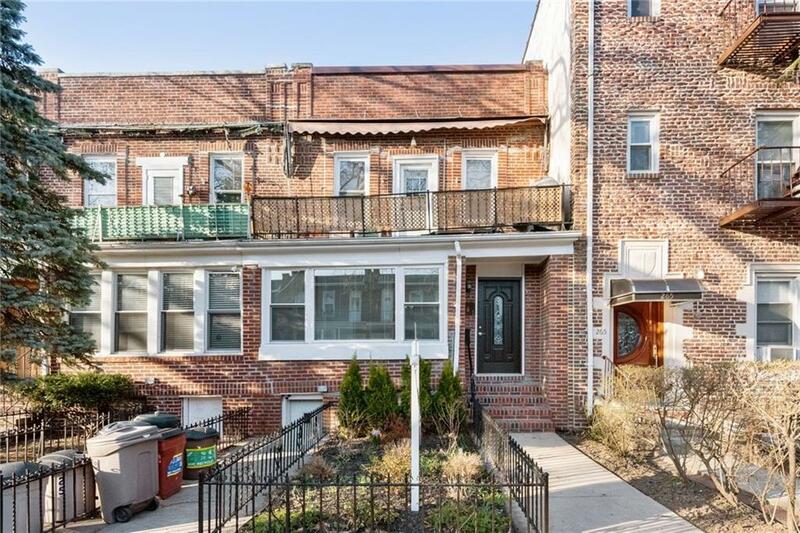 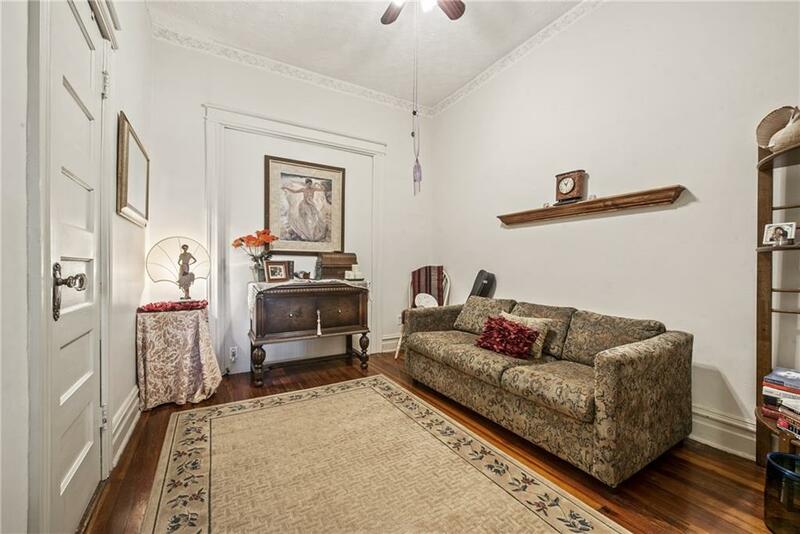 First time on the market, this Quintessential Fully Attached Solid Brick two family house is located on one of the most sought-after block in Bay Ridge. 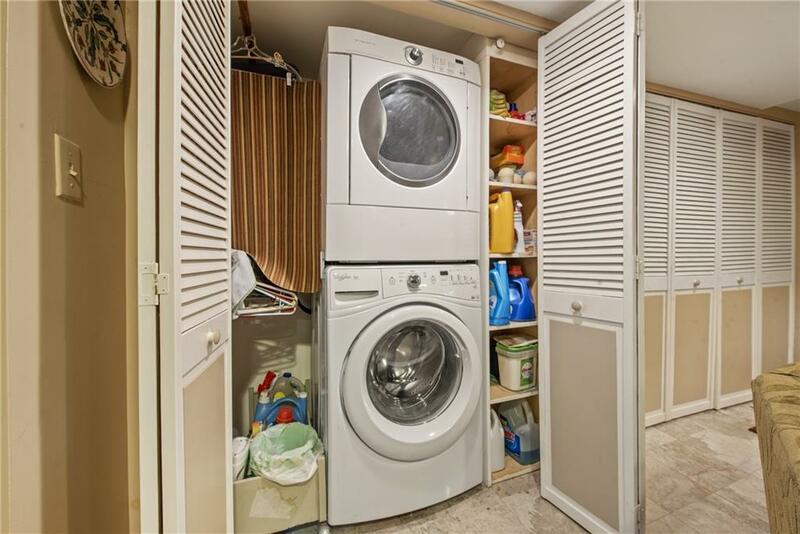 It has southwestern exposure with lots of light, tons of closets & storage spaces. 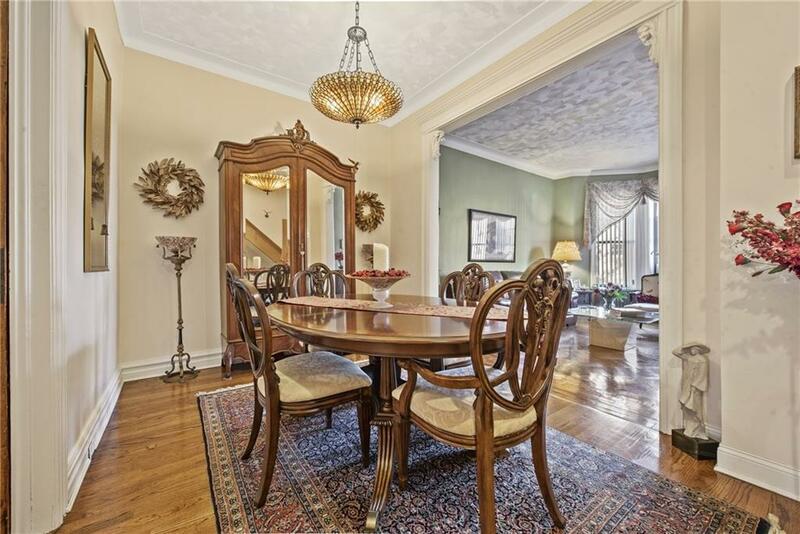 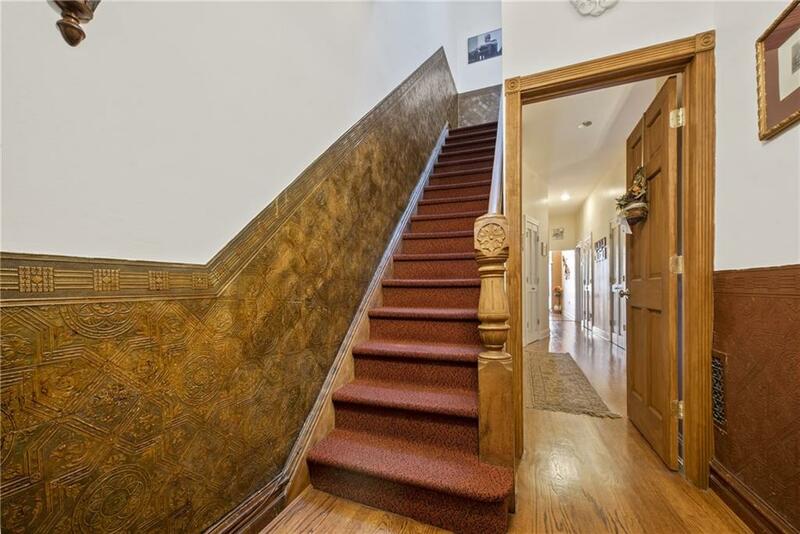 Upon entering the first floor you will notice many of the old world charm details, such as 10 foot high ceilings, wooden moldings and parquet floors throughout. 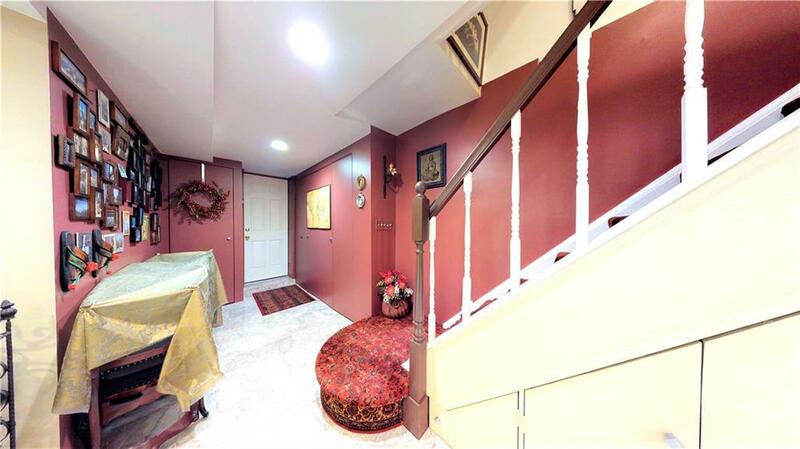 First floor is comprised of a specious living room, formal dinning room and stairs that lead to the finished basement, walk-in closet, pantry and linen closets. 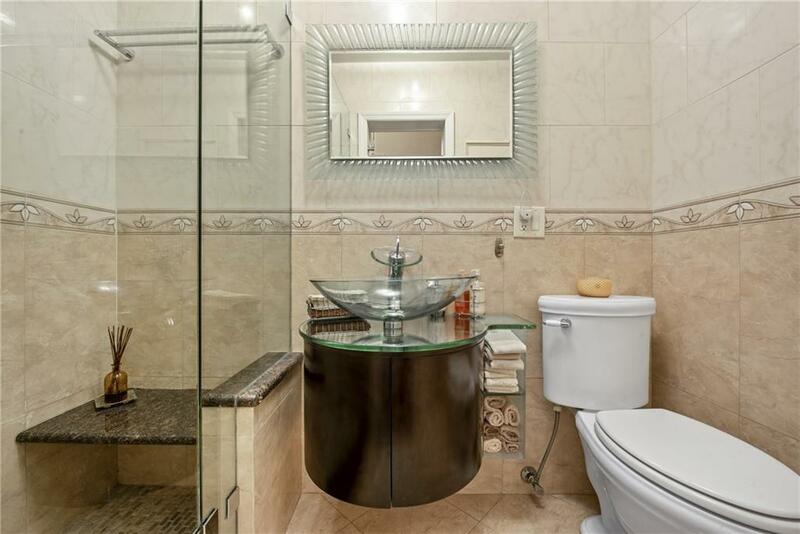 There are two good size bedrooms with pocket doors for privacy and a tiled bathroom with glass walk-in shower. 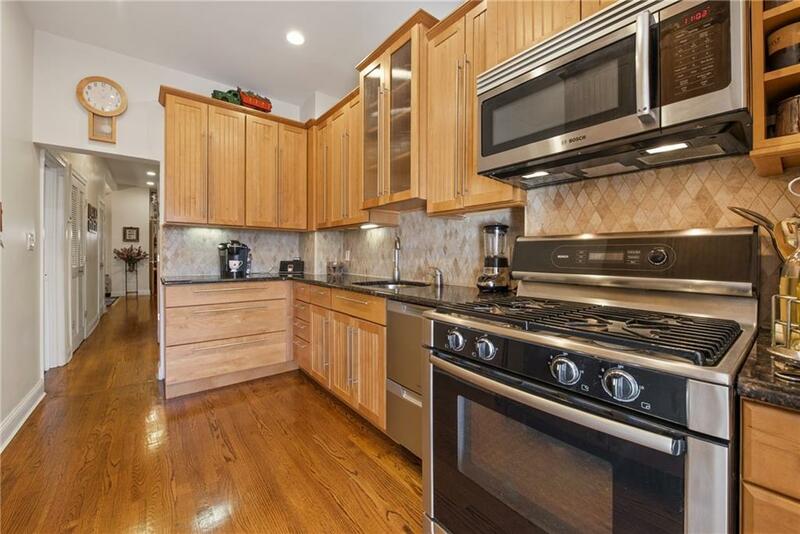 Custom kitchen with stainless steel sink and appliances, extra tall wood cabinets and solid granite countertop. 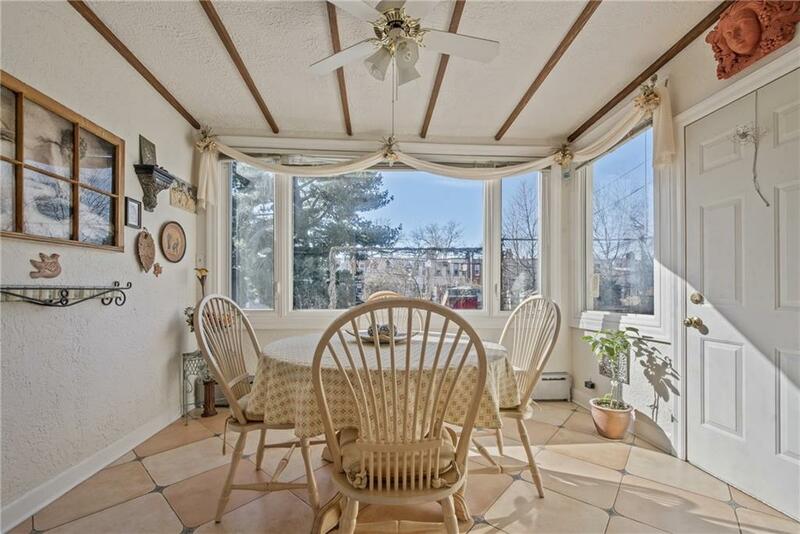 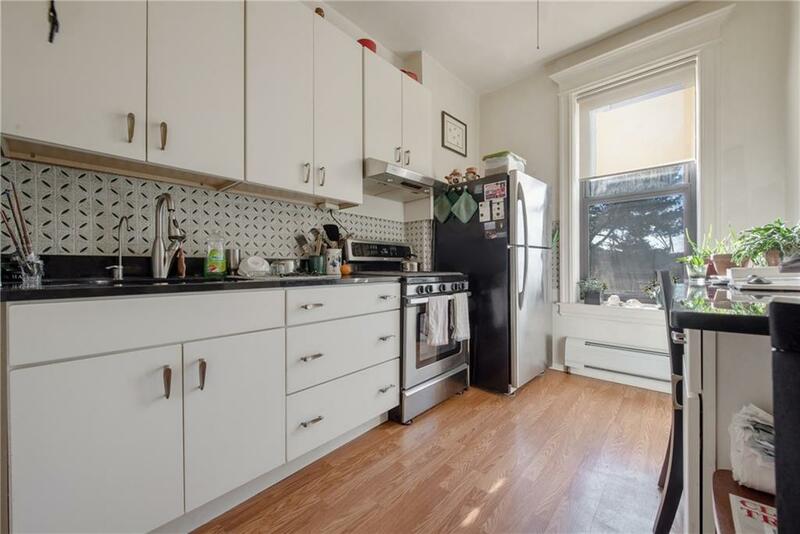 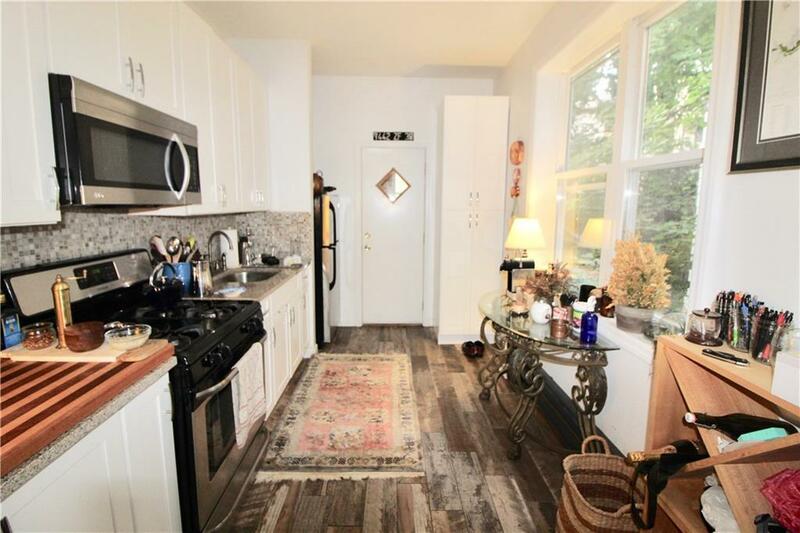 Right off the kitchen there is an over 100 Sq ft jewel of a breakfast/ sunroom, with picture windows overlooking the approximately 1800 Sq ft paver blocks finished back yard, where you can enjoy an early morning coffee with a view. 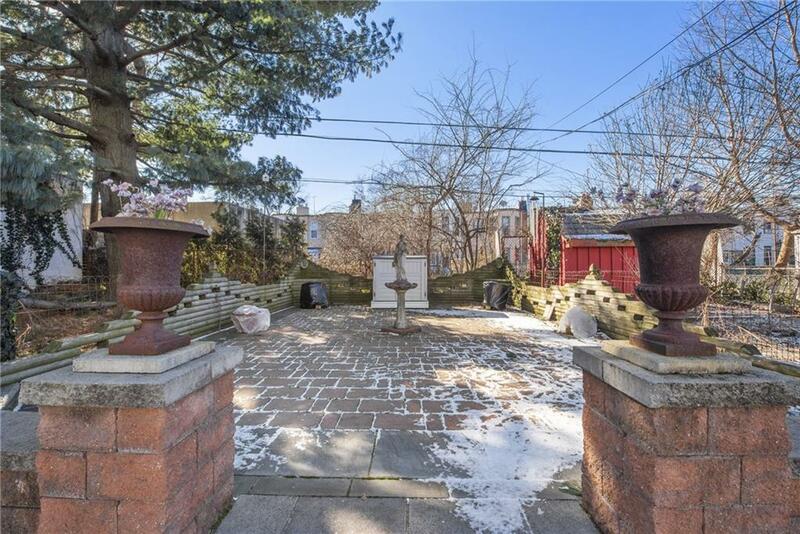 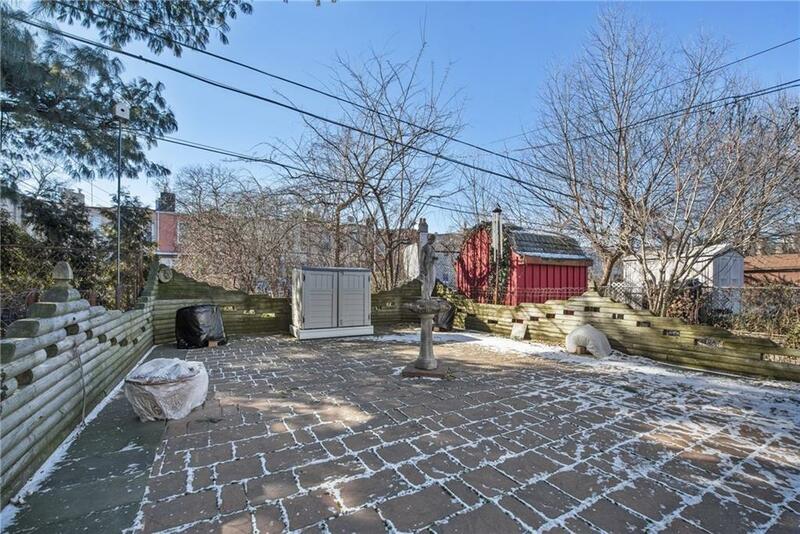 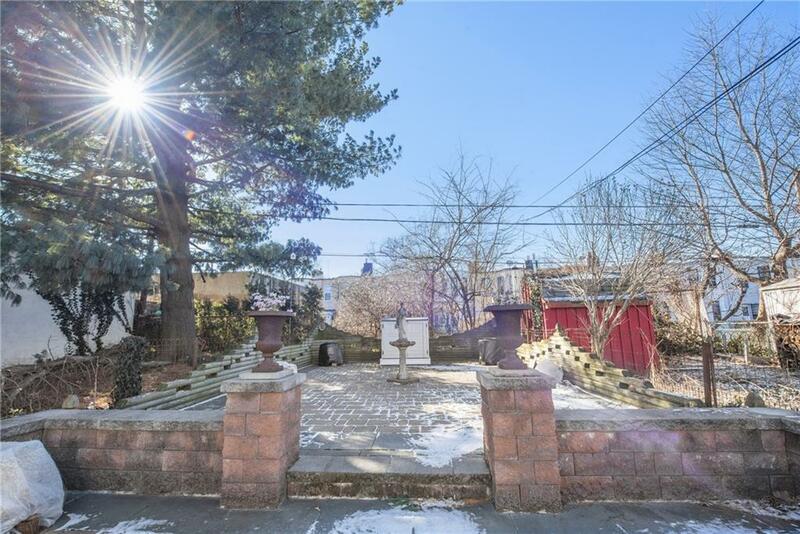 This yard is great for care free enjoyment for both adults and children as well as a great place for family gatherings and BBQs. 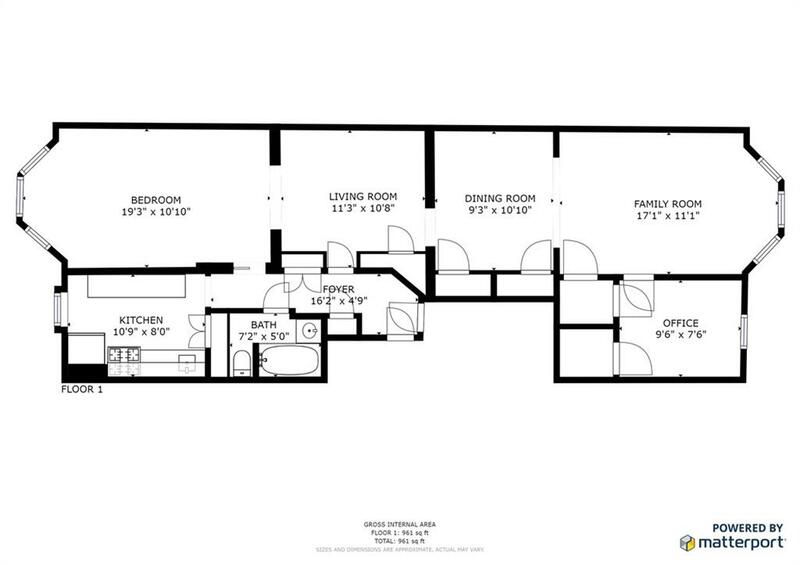 Second floor has similar layout as the first floor but with three bedrooms and one bathroom. 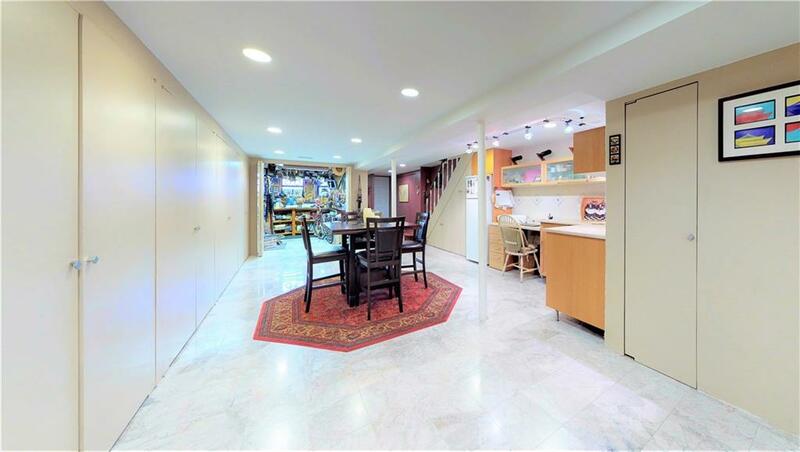 The finished basement is accessed from within the first floor or separate door from the street front, and also has access to the back yard. 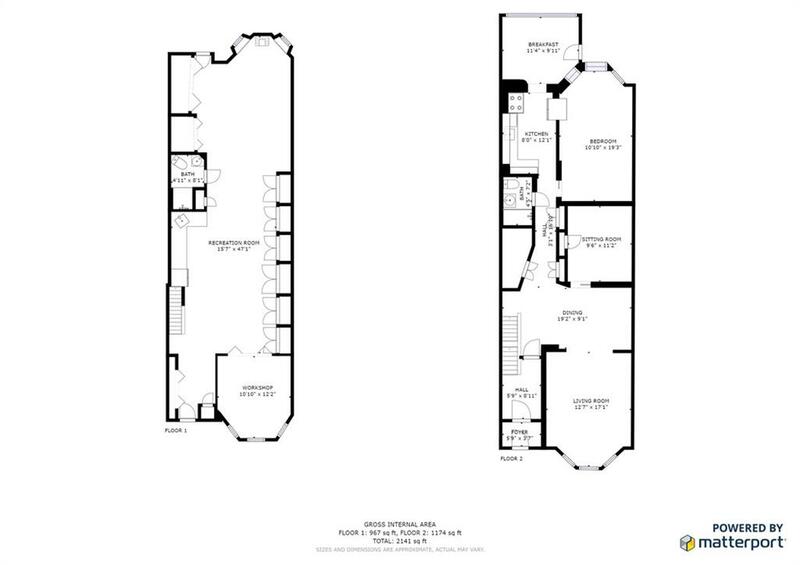 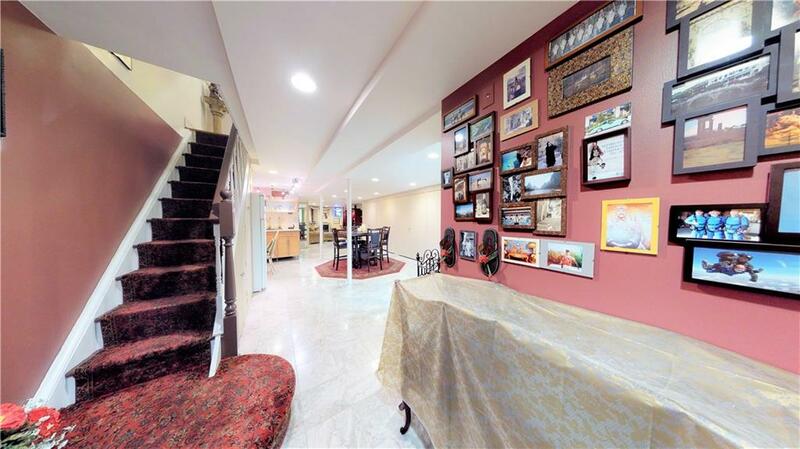 It’s an open space layout with marble tile floor, 7 foot ceiling and is 55 feet long. 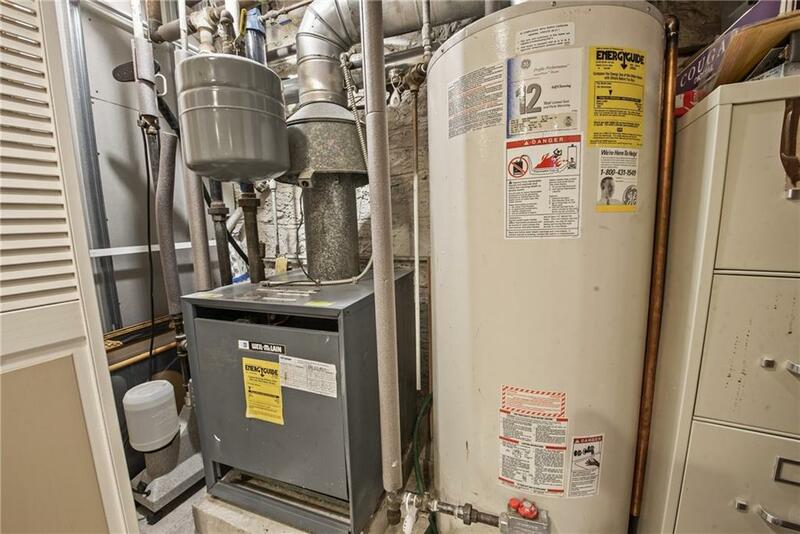 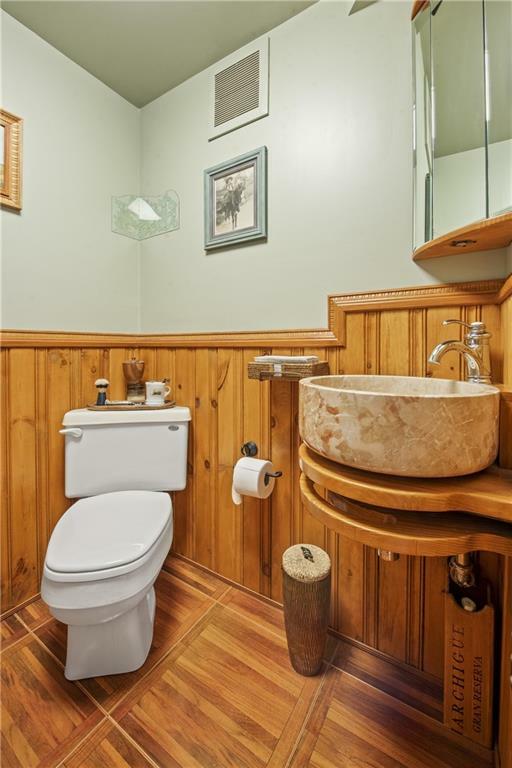 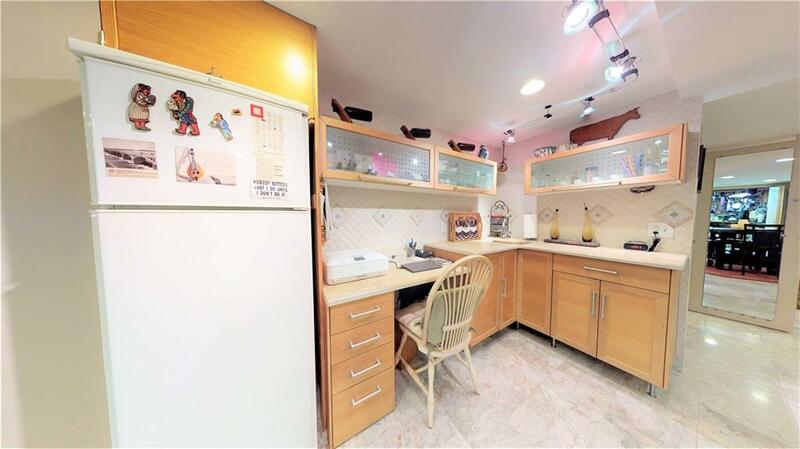 It includes a nice and modern full bathroom, over seven big closets, kitchen cabinets with bar size sink, computer/office space, a lot of storage space, laundry room and boiler room. 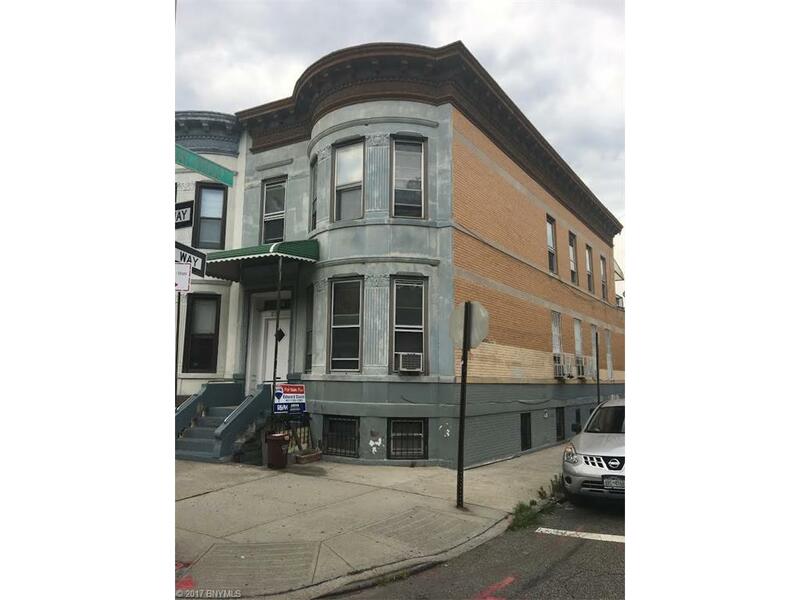 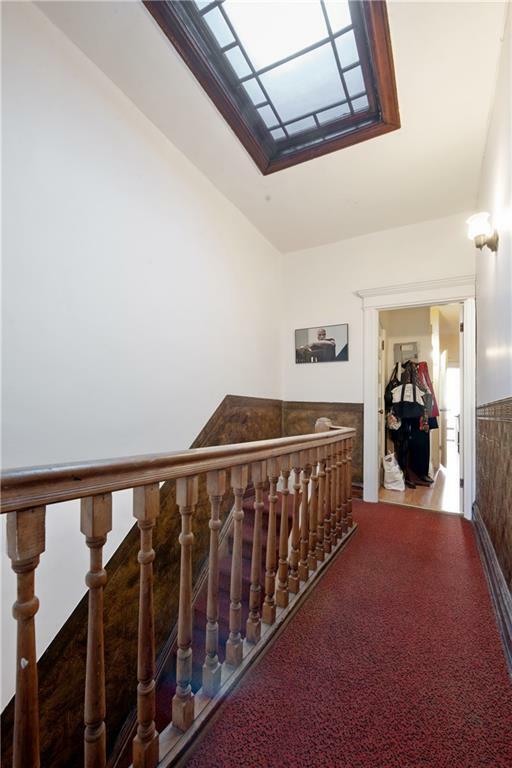 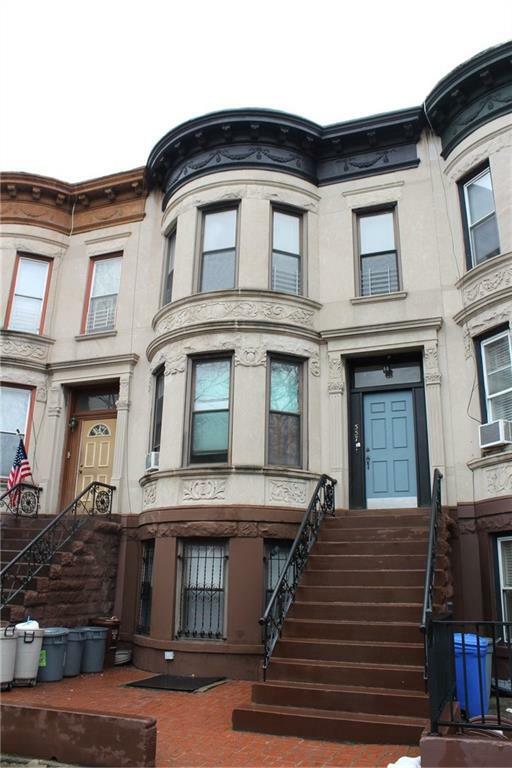 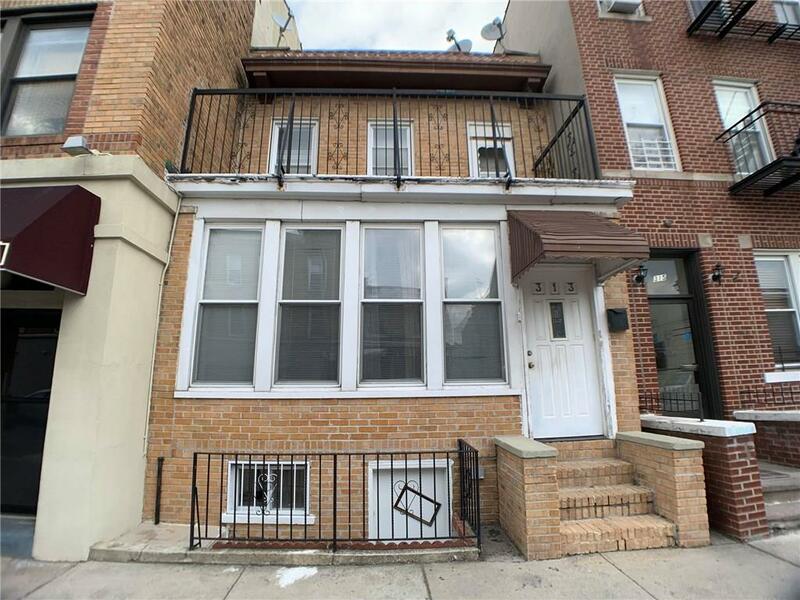 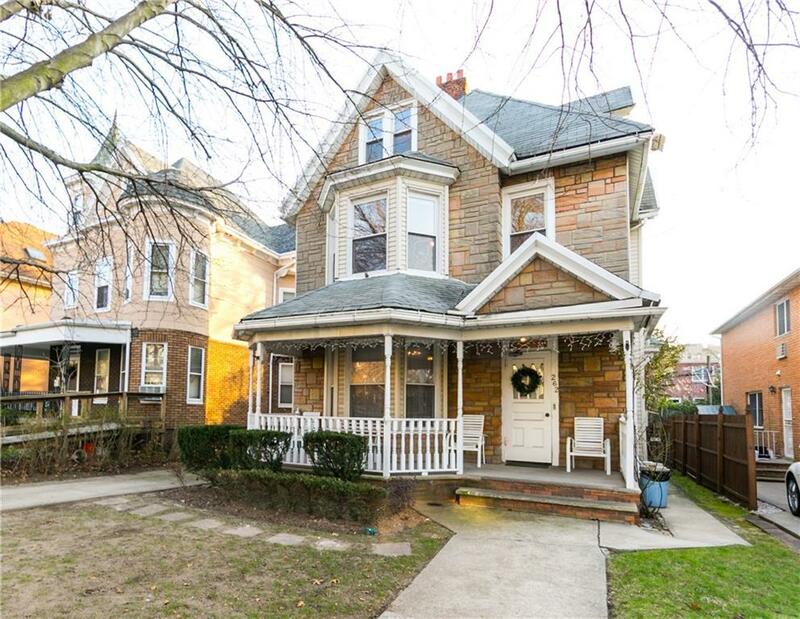 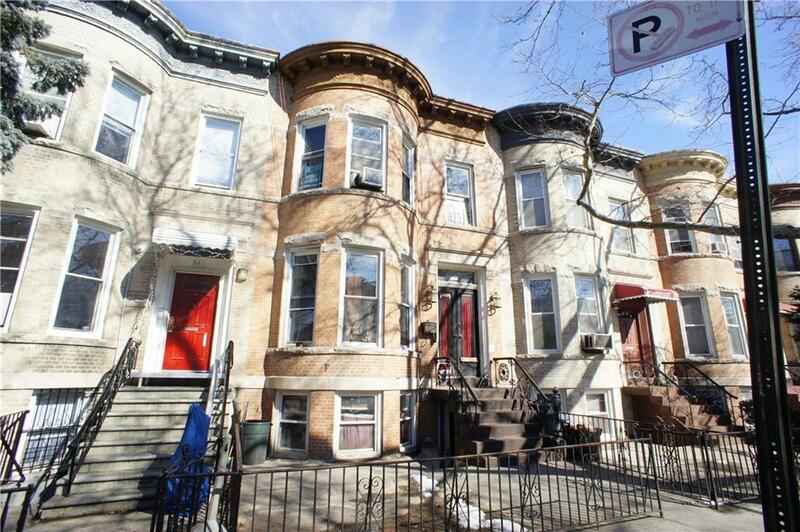 House conveniently locates near public transportation (R train, B63, B4 and B70), excellent school (P.S./I.S. 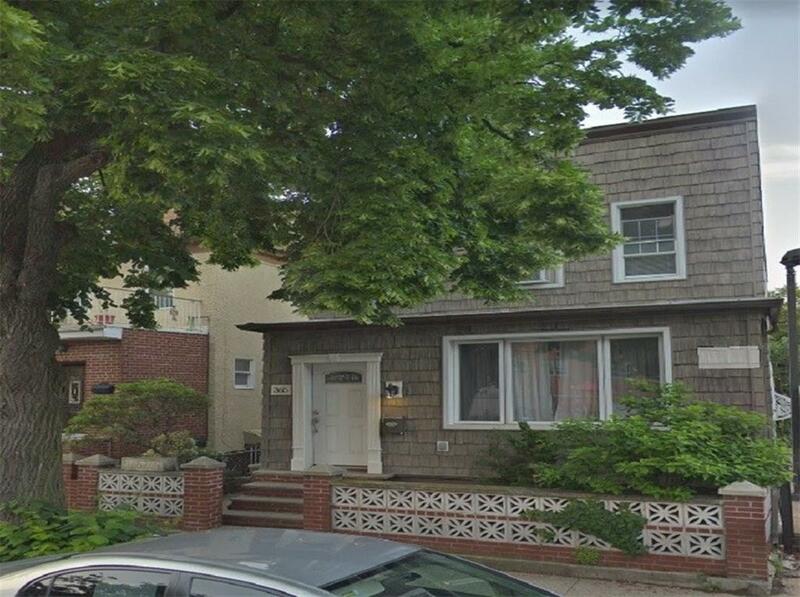 30, P.S. 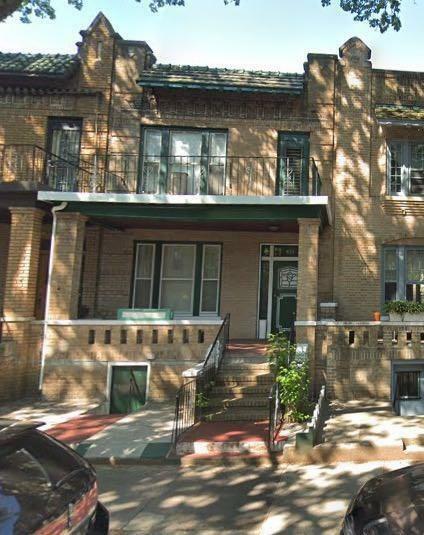 170), supermarket and McKinley Park.